Everyone has a brand that they love. This is your chance to show loyalty to your favorite brand and get paid for it! It involves posting a photo of you using the brand's product and submitting an idea to create a marketing buzz for the brand. The purpose of this Beta RFI is to get prepared for future requests from companies who want feedback from you on how to improve and market their brand to others. 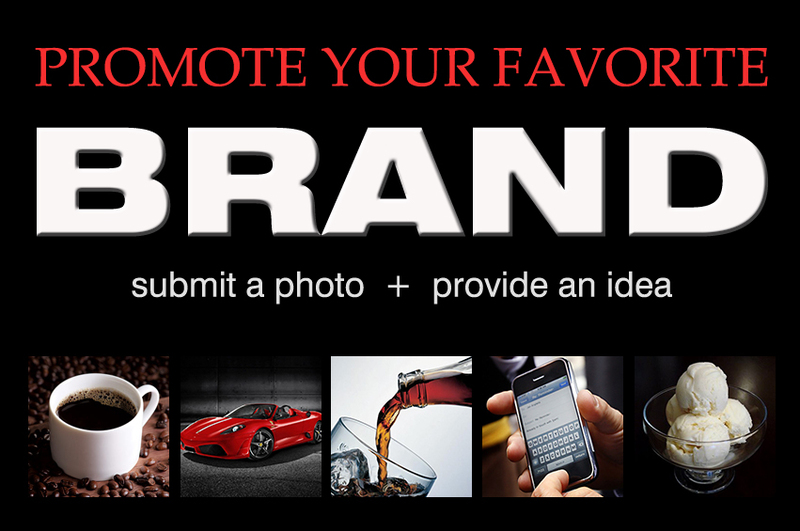 This one is simple: Pick any easily recognized brand and take an interesting photo of yourself using that brand’s product and upload the photo as part of your idea submission. The photo should be interesting or funny in some way so it leaves a lasting impression and positively promotes the brand or product. Additionally, include a written idea on how to increase awareness about the product / brand. This can be a new marketing strategy or campaign, an idea for a commercial, a way to attract a specific group of people, etc. The more detailed you are the greater your chances to win. See judging criteria below about Idea Page comments to further increase your chances of winning. Your photo and marketing idea must be original. You must submit a photo (as described above). You must submit a written marketing idea (as described above). Original Videos of you with using the product are optional. The number of positive comments on your idea page (share your idea page on your social networks to direct friends to leave comments on your youZingit idea page).